Man, what an exciting time we are living in right now. We are starting to see another aspect if the web explode with innovation – the local landscape. Local web applications are infiltrating almost every aspect of our daily lives – searching, shopping, taking pictures, and now Questions and Answers. Question and Answer sites (Q&A as they are referred to) have been around for quite some time, but only recently have entrepreneurs started innovating on the core concept: You ask a question, someone answers it. Startups such as Quora, Hipster, Travellr, localuncle, and many others are recreating the Q&A space for the era of social connectivity. 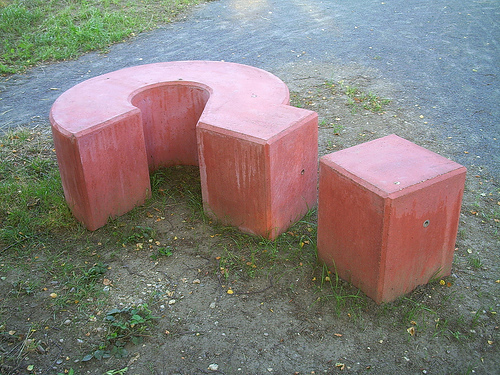 Quora, for example, founded by former Facebook employees, aims to build THE go to application for wisdom and knowledge. The cool thing about Quora is you can follow well known people as they continue to add their knowledge to the site. Quora seems to be the emerging leader of these newly minted social Q&A sites. Thus far they have maintained their focus on the relatively smaller web tech community of Silicon Valley. Questions remain (pun intended) if Quora can uphold their quality of answers as they grow in quantity of questions. Then there’s Hipster. Quite frankly, no one really knows what this little Q&A startup is doing. If you go to their homepage you are greeted with a prompt to search questions and answers about SXSW, a conference held in Austin, TX every March. Isn’t it almost June? One thing is for sure, they know how to generate PR and attention. I guess we’ll just have to keep an eye on this one. Enter LOCQL, a Seattle startup some refer to as “Foursquare Meets Quora”. These guys smartly put together two basic premises; 1) everybody knows a little bit about something and 2) location information always make something more valuable. Marry those together and (at scale) you have a living, breathing repository of location relevant information based upon where you currently find yourself. Isn’t that the basis of mobile search? When I use my iphone for search, I am generally looking for a restaraunt, coffee shops, a retail store, an address, directions, and many other location based information. Additionally, what if someone infused a solid Q&A application with mobile commerce capabilities? Mark my words, I believe this space will yield a big hit. I caught up with LOCQL co-founder Robert Mao recently and asked him a few questions about his company and where it’s going. Describe and explain LOCQL in a few sentences. 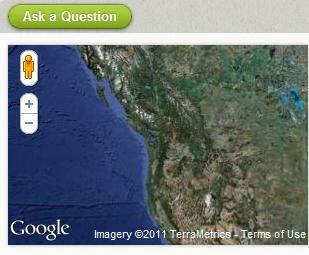 “LOCQL is a location based question and answer site that helps people find answers to places. How did you come up with the idea behind LOCQL? Yahoo Q&A has been around for a while. Why attempt a new Q&A site? With a lot of competition, besides the location aspect how do you differentiate yourself? What is LOCQL’s current status, and what are your immediate next steps? Image courtesy of of Flickr user Alexanderdrachmann. This entry was posted in Startups, The Web and tagged Hipster, LOCQL, Q&A, Quora, Startups. Bookmark the permalink. Thanks for the interview and write up !